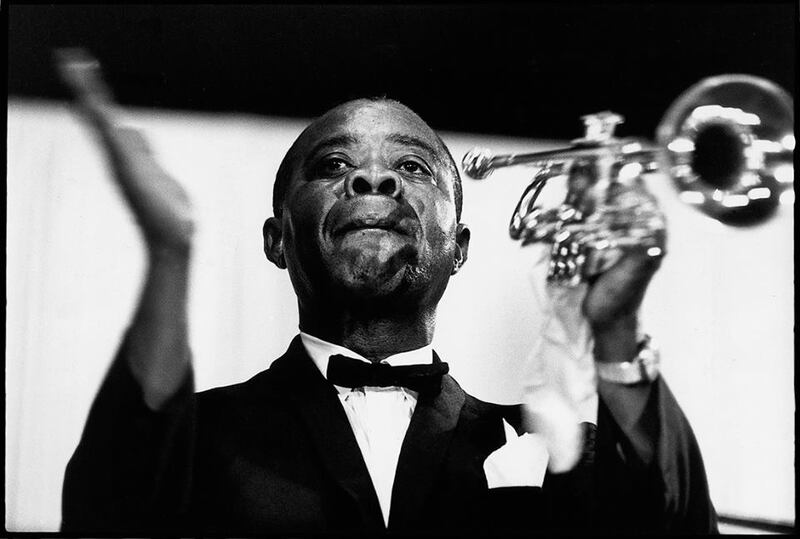 Louis Armstrong was born on August 4, 1901, in New Orleans, Louisiana, the birthplace of jazz. He is considered the most important improviser in jazz, and he taught the world to swing. Armstrong, fondly known as “Satchmo” (which is short for “Satchelmouth” referring to the size of his mouth) or “Pops,” had a sense of humor, natural and unassuming manner, and positive disposition that made everyone around him feel good. With his infectious, wide grin and instantly recognizable gravelly voice, he won the hearts of people everywhere. He had an exciting and innovative style of playing that musicians imitate to this day. Throughout his career, Armstrong spread the language of jazz around the world, serving as an international ambassador of swing. His profound impact on the music of the 20th century continues into the 21st century.